The Metropolitan Museum of Art turned 145 years old this month. Known colloquially as “the Met,” it is the largest art museum in the United States. The venerable New York City institution contains works spanning 5,000 years. Attendance has never been a problem: The museum is one of the most highly attended in the world, with 6.2 million visitors last year. But now it’s seeking to increase its presence online and via mobile technology. 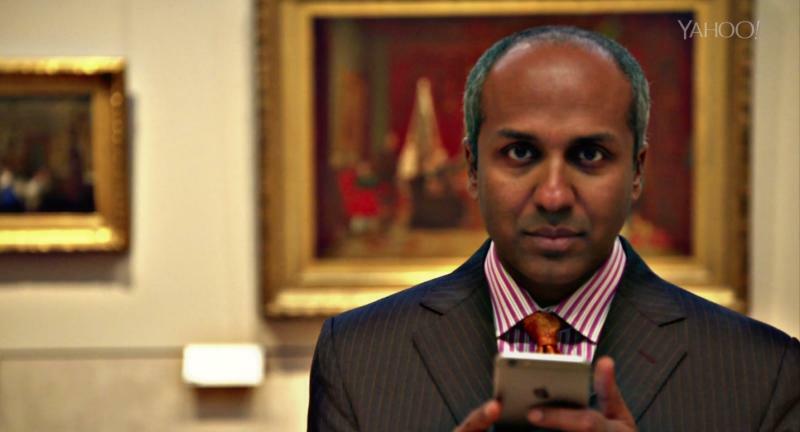 When the Met created a position for its first-ever Chief Digital Officer, it turned to Sree Sreenivasan, a former Columbia University professor. Sreenivasan had spent decades teaching journalism and technology before he came on board in 2013, but he says he couldn’t resist the siren call of the Grand Dame of the art world. His motto as CDO: connecting the physical and the digital, the in-person and the online. “Our competition is not other museums. Our competition is Netflix, Candy Crush, life in 2015. We’re fighting for attention,” he explains. To that end, he and his 70-person team create and weigh in on all things digital at the Met. That has included a partnership with Facebook, the release of 400,000 digital images of art works and a ban on selfie sticks, to protect the artworks from clumsy visitors. Then there’s the website, MetMuseum.org, which had 29 million visits in 2014 and provides an ideal platform for the Met’s digital efforts. It displays a “Timeline of Art History,” digital galleries and previews of upcoming exhibitions. Social media is key to Sreenivasan’s digital strategy for the Met. It is active on Facebook, Instagram, Twitter and Pinterest. He cites the use of hashtags as his biggest achievement in his 18 months on the job. He encourages departments and curators to use hashtags throughout the building, on every exhibition and a few installations. The goal is to create a digital conversation with the Met’s audience. Take for example, the popular #emptymet. As Sreenivasan explains, “It is part of our effort to bring people in who are influencers. We started by bringing people who have lots of followers on Instagram, as a chance to showcase a place like the Met to folks who may not otherwise see it.” The museum’s Instagram feed, which sends out glimpses of the collection, won a Webby Award in 2014 (and it was nominated again this year). The Met is one of five museums to share a $15 million grant provided by Bloomberg Philanthropies to amp up the visitor experience with mobile. Sreenivasan says that funds from the grant have been used for the museum’s mobile app, as well as its audio guide. Take for example, Emanuel Leutze’s famous painting “Washington Crossing the Delaware.” While gazing at it in the American Wing, visitors can go on their smartphone, pull up an audio guide, get background information and see additional images. After you leave the museum, you can order a print of the painting. The Met also plays a critical role today in light of the destruction of antiquities in Syria. The website highlights the museum’s Syrian art collection and the danger that artworks face because of the destruction that ISIS is wreaking on priceless artifacts. “We are absolutely devastated by what’s happening, especially with what ISIS has been doing. We really value the art, wherever it is, and if it happens to be here, it is safe here. But we also want people to understand the art world and the ancient world,” Sreenivasan says. Separately, the Met’s media lab is working with the experts in its Department of Egyptian ART to use digital project-mapping to show what the Temple of Dendur looked like with colors in its original state in the first century B.C.